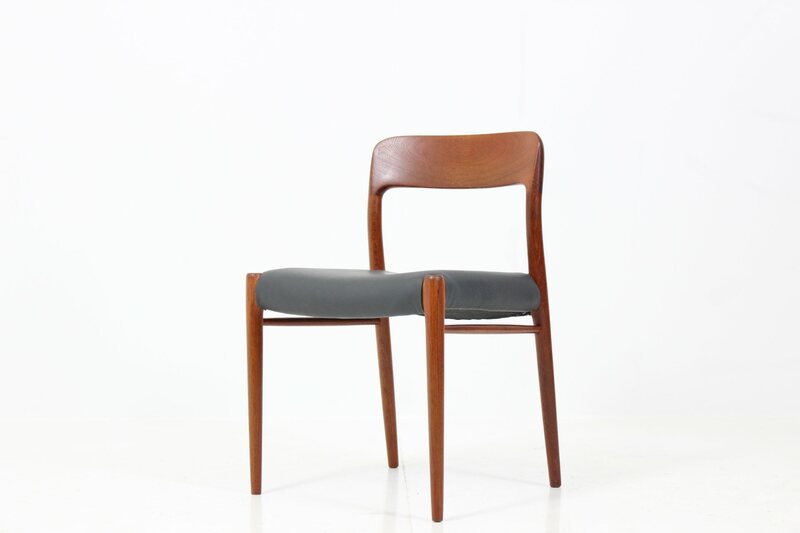 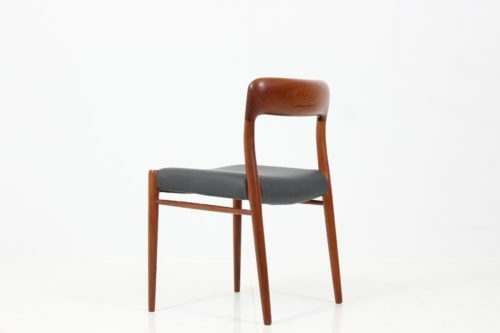 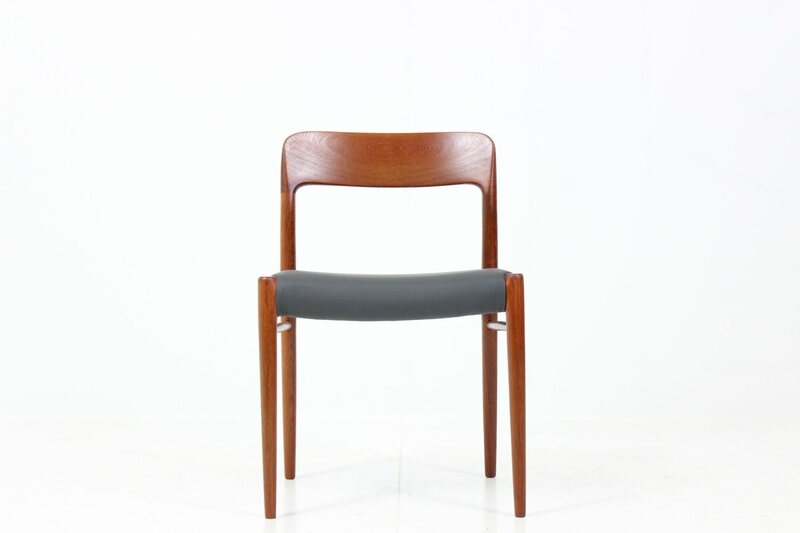 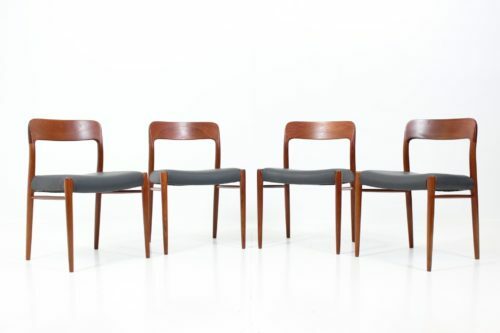 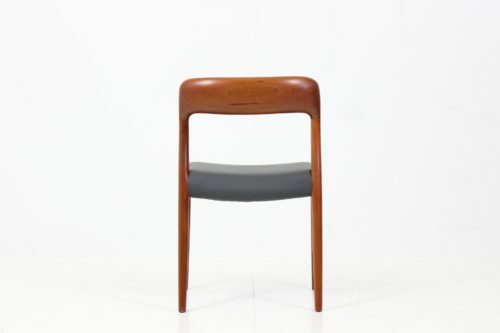 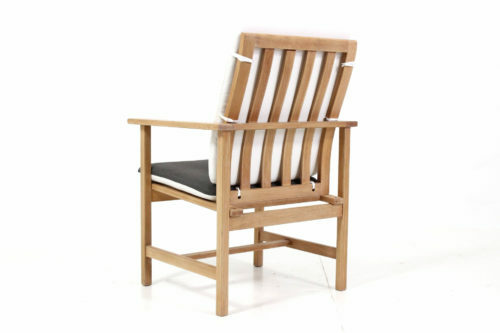 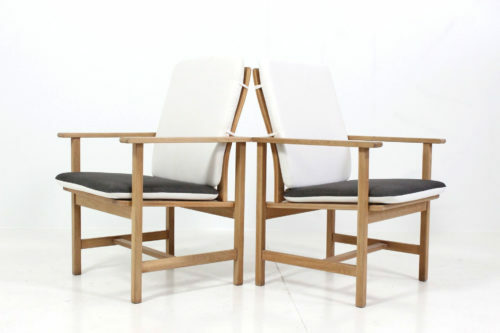 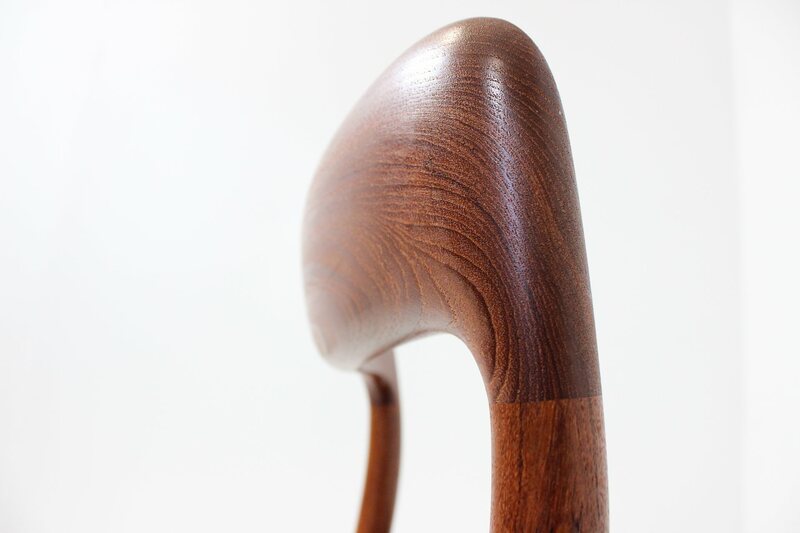 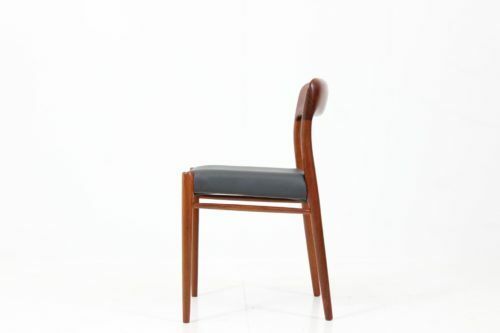 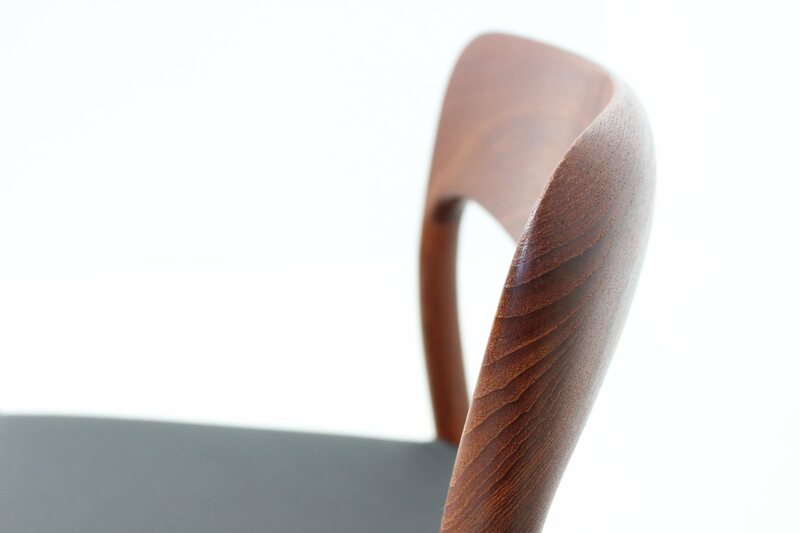 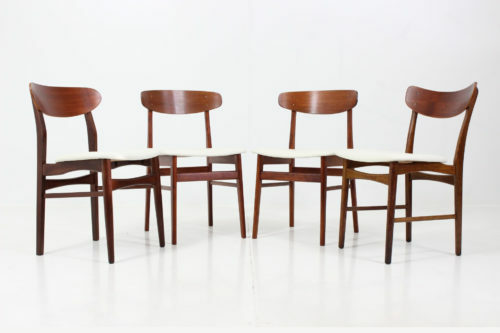 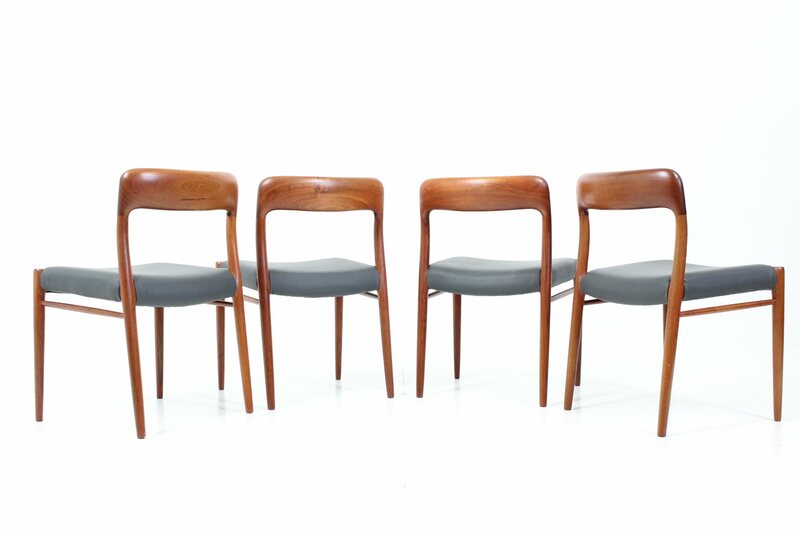 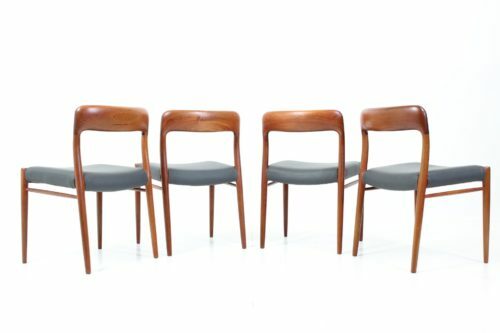 A set of four side / dining chairs in teak featuring shaped backs. 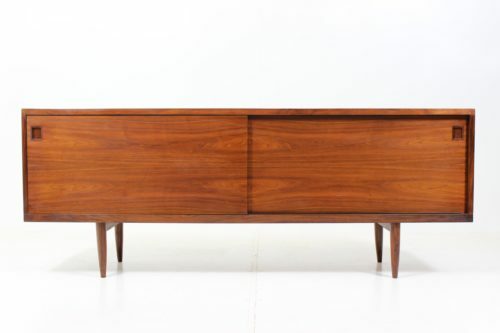 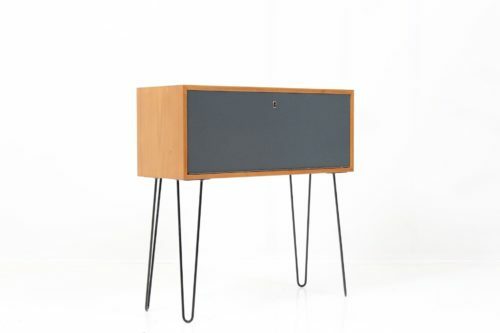 Renovated wood frame, updated leather upholstery. 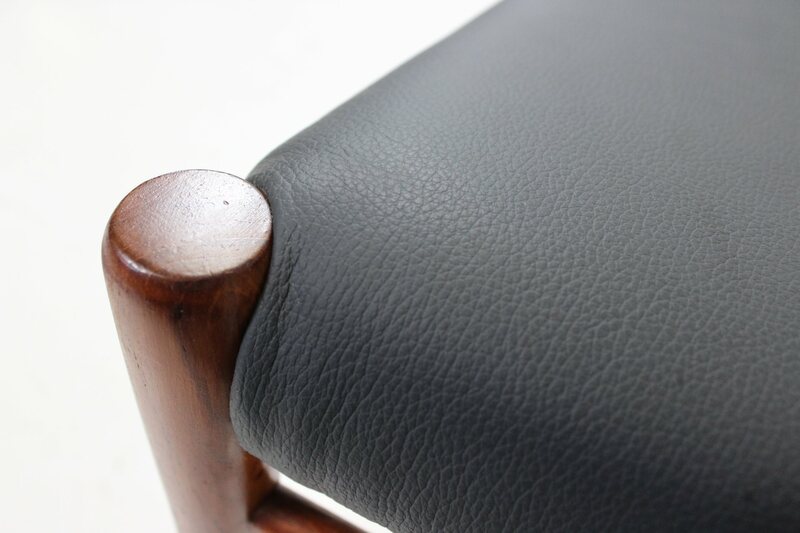 Come as new.